609.060 Notice of election result; dogs running at large prohibited; deposit of fees and fines. (1) If a majority of all votes cast in the election provided for by ORS 609.040 is against permitting dogs to run at large, or if the governing body of the county by ordinance prohibits dogs from running at large, the county shall give notice, by publication in some newspaper having a general circulation in the county, and in the election precinct if the prohibition of dogs running at large affects any one precinct only, for three consecutive weeks. (2) After 60 days from the date of the notice, every person keeping a dog shall prevent the dog from running at large in any county, city or precinct where prohibited. A person who is the keeper of a dog is guilty of a violation if the dog runs at large in a county, city or precinct where prohibited. (2) The keeper of a dog in a county, precinct or city that is subject to ORS 609.030 and 609.035 to 609.110 maintains a public nuisance if the dog commits an act described under subsection (1) of this section. Maintaining a dog that is a public nuisance is a violation. KEEPER: A person who keeps, owns, possesses, controls, harbors, exercises or otherwise has charge of a restricted breed of dog. MUZZLE: A restraining device made of metal, plastic, leather or cloth or a combination of these materials, that, when fitted and fastened over a snout/mouth/head, prevents a dog from biting but allows room for the dog to breathe and pant. The muzzle must be made in a manner that will not cause injury to the dog or interfere with its vision or respiration, but must prevent the dog from biting any person or animal. RESTRICTED BREED OF DOG: American pit bull terrier, American Staffordshire terrier, Staffordshire bull terrier, American bulldog (Old Country bulldog), Dogo Argentino, Canary dog (Canary Island dog, Presa Canario, Perro de Presa Canario), Presa Mallorquin (Perro de Presa Mallorquin, Ca de Bou), Tosa (Tosa inu, Tosa fighting dog, Japanese fighting dog, Japanese mastiff), Cane Corso (Cane di Macellaio, Sicilian branchiero), Fila Brasileiro (Brazilian mastiff) or any dog displaying the majority of physical traits or any one or more of the above breeds, or any dog exhibiting those distinguishing characteristics which substantially conform to the standards established by the American Kennel Club or United Kennel Club for any of the above breeds. Any uncertainty about the breed of a dog is to be determined by a duly licensed and qualified veterinarian at the expense of the keeper. 1. At all times, a restricted breed of dog must be confined in accordance with this chapter. When outside, a restricted breed of dog must be in a secure pen, kennel or enclosure. No restricted breed of dog may be kept on a porch, patio, or in any part of a house or structure that would allow the dog to exit on its own volition. Restricted breeds of dogs shall not be leashed, chained or otherwise attached to an inanimate object such as a tree, pole, building or vehicle. 2. Restricted breeds of dogs that are being walked or exercised off the premises of the owner must be muzzled and securely leashed with a leash no longer than four feet (4′) in length held by someone who is physically capable of effectively controlling the dog. 3. Restricted breeds of dogs may not ride or be transported in an open area of a truck or vehicle without a secure temporary enclosure. The temporary transporting enclosure must have six (6) sides with a top and bottom that are permanently attached to the sides except for the door for removal of the dog. The enclosure must be of such material so that the dog cannot exit the enclosure on its own. 4. The owner shall, at the owner’s expense, have the restricted breed of dog vaccinated for rabies as well as spayed and/or neutered and be able to present proof that these procedures have been performed. C. Exceptions: The prohibition and guidelines in subsection B of this section shall not apply in the following circumstances. 1. A Humane Society or other nonprofit animal shelter. 2. A licensed business primarily intended to obtain a profit from the kenneling of dogs. 3. A facility impounding dogs on behalf of Malheur County or a city within Malheur County. 4. Law enforcement, animal control or Humane Society officials for the purpose of carrying out this chapter or other dog control official business. 5. Any veterinarian while treating, grooming or housing a dog until claimed by the owner. 6. Showing a restricted breed of dog in an exhibition, show or contest sponsored by a dog club association or similar organization. 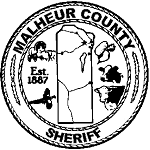 However, the sponsor of the exhibition, contest or show must receive authorization from the Malheur County sheriff’s office, must obtain applicable planning and zoning approval and provide protective measures adequate to prevent restricted breeds of dogs from escaping or injuring the public. 1. If a restricted breed of dog has been impounded for violating this section, the dog shall not be released from impoundment except on the order of the justice of peace, but not less than three (3) days, excluding weekends and holidays, subsequent to the owner being notified or reasonable efforts have been made to notify the owner of the impoundment. Possession of the dog may be recovered by the dog’s owner if the judge finds that the restricted breed of dog was not in violation of this section, or upon payment of all assessments, expenses, fees or costs as set forth in subsection E of this section and upon proof of compliance with the guidelines set forth in subsection B of this section. If possession of the dog is not recovered in the time frame ordered by the justice of peace or an owner cannot reasonably be located, the dog shall be deemed an unclaimed dog and may be disposed of by adoption or death in a humane manner.